Mexico Trasciende is an annual congress organized by the Tecnologico de Monterrey under the direction of Student Groups. Its goal is to create a space for learning and awareness among the student community. In its first edition, Mexico’s ex-president Felipe Calderon led the list of speakers. 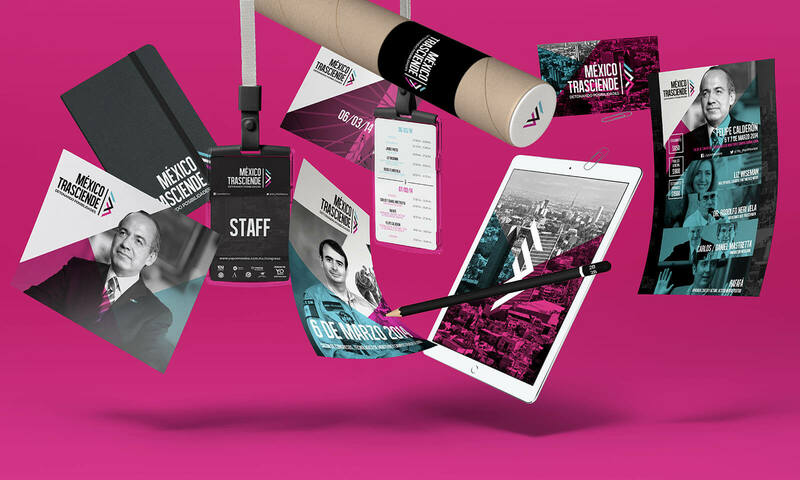 We were hired to design the graphic identity of the event. It had to look professional and youthful at the same time so it would caught the students’ attention. We chose a Sans-serif typeface accompanied by an iconography that refers to the congress’ name. We played with contrast: black and white photographs intervened by bright colors to achieve the desired professional and youthful appearance. A space for learning, attractive to students.